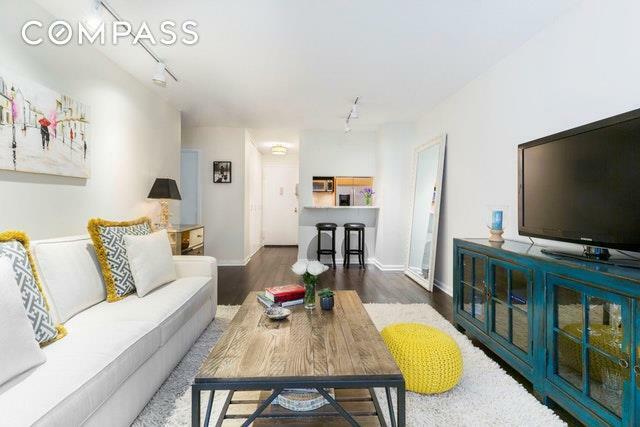 This airy and pristine one-bedroom home has been wonderfully renovated for modern city living. The living room spanning over 20 feet allows versatility for both dining and entertainment. 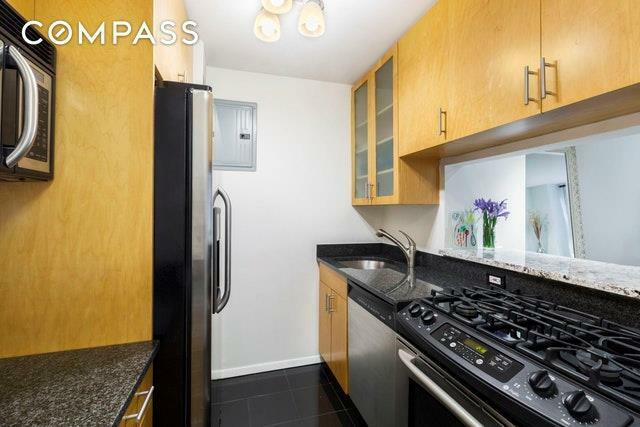 The pass-thru kitchen features full-sized stainless steel appliances, undermount sink and stone counters with a breakfast bar open to the living room. 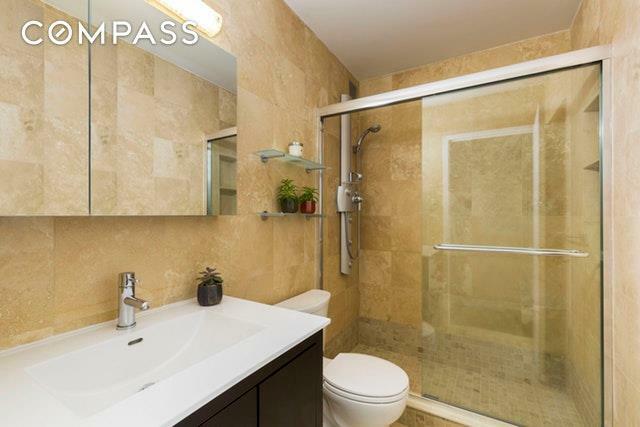 The bathroom is outfitted with floor-to-ceiling tile and tasteful storage including glass shelving as well as a walk-in shower. The home is accented with dark hardwood flooring throughout, northwestern exposures, below window air conditioning units in both the living and bedroom and features three large closets, one of which is a generous walk-in.The Brevard is a full-service white glove cooperative that features a recently renovated lobby and hallways, as well as new elevators. The cooperative offers 24/7 concierge service, a roof terrace with amazing views, and a modern second floor laundry room. Pied-a-terres and pets are considered. Shareholders enjoy a discount to Equinox, which is directly across the street, as well as Blink and Soul Cycle. Please note: The Brevard is a smoke-free building. 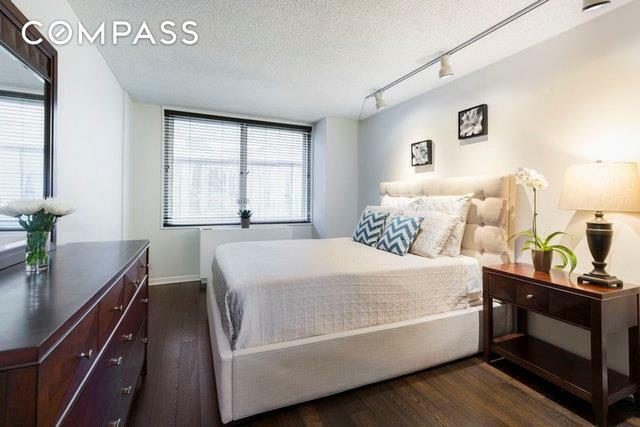 Listing courtesy of Julia Hoagland of Compass.